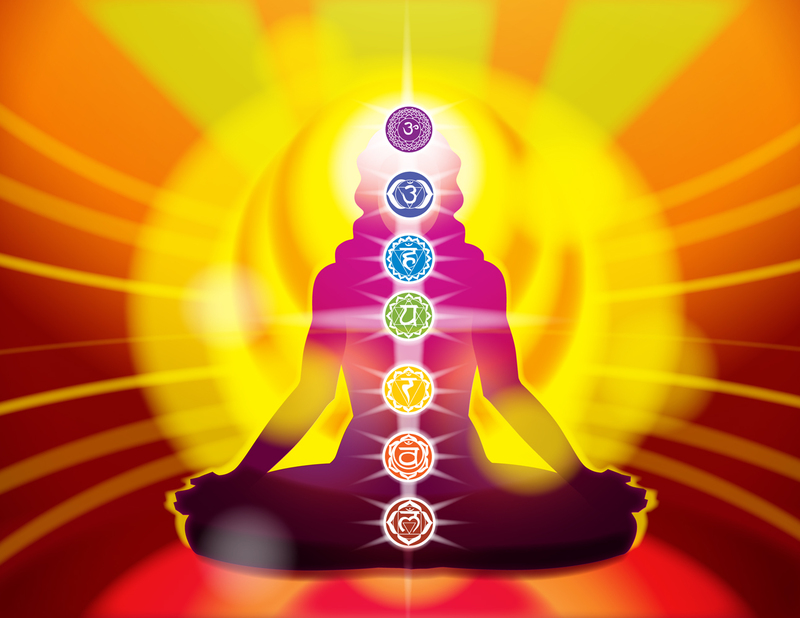 Energy Cleansing involves creating flow through your Aura, Energy Channels and Chakras. When your energy is flowing and balanced, there is a state of well-being. When your energy is blocked or out of balance, there is a lack of well-being, ailment or dis-ease. The Energy System is weakened by poor diet, stress, lack of rest, lack of sleep, lack of exercise, alcohol, drugs, negative habits and deeds and negative thoughts. Energy Cleansing supports you in restoring the flow of spiritual energy through your system.When your own energy flows freely, you can heal yourself. Our Energy System surrounds us, is inside of us, and penetrates us completely. This includes the Light Body which extends beyond our Auras. Our Auras surround us and penetrate our Physical Bodies, the Meridian System, a system of energy channels within us through which all energy moves throughout our body, as well as the Chakras, the energy transformers changing and processing live giving Prana within us. The Chakras are linking mechanisms between the Auric Field and the Meridian System within the Physical Body and different levels of the Auric Fields and Cosmic Forces. They affect the flow of energy into the Physical Body. They absorb primary energy from the atmosphere called Chi (Qi, Prana) and send it along Energy Channels. Chakras are energy transformers.The Aura is an Energy Field that surrounds, penetrates and extends out beyond the physical body, is electromagnetic, electric and magnetic and is made up of varying types of live and intelligent vibrations or frequencies. An Aura surrounds not only every living thing including humans, animals and plants, but also every inanimate thing such as rocks, all objects made by man, and the earth, sun, moon, and all planets in our Universe. The Human Aura has layers of physical, emotional, mental and spiritual elements. Auras contain all the primary colors of the rainbow at any given time and change color depending on the emotion an individual is experiencing. Our Auras are made up of many colors and many shades of colors that are constantly changing. This reflects the constant change in our thoughts and emotions. Energetic Cleansings are an excellent way to release blocks and unwanted energies, and to allow your own energy flowing, so you may heal. Your energy system is designed to run on your unique vibration, when energies from other people come right into your energy system, it may create many problems. Unwanted foreign energies interfere with the flow of your own energy. Energetic Cleansing also supports you in releasing unwanted foreign energies from your system. Energetic Cleansings focus on the Spiritual Energy System- Aura, Energy Channels, Chakras, etc. Many physical problems have their root cause on an energy level. In other words, physical problems can be a symptom of energetic, emotional, psychic, or spiritual issues. Rather than focusing on the body symptoms, spiritual healing can work with problems at their energetic root cause. Our Auras, Chakras, and Meridian Systems are affected by things physical, intellectual, emotional, and spiritual. Physical, intellectual, emotional and spiritual ways to effect clearing, rebalancing, activating and healing of your Energy Systems and all aspects are interconnected and all aspects are required for healthy and vibrant living.